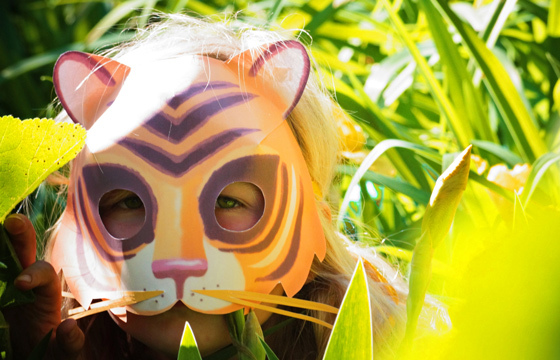 Easy to make printable tiger mask - Animal mask templates! Be a Tiger in no time! Rroarrr! 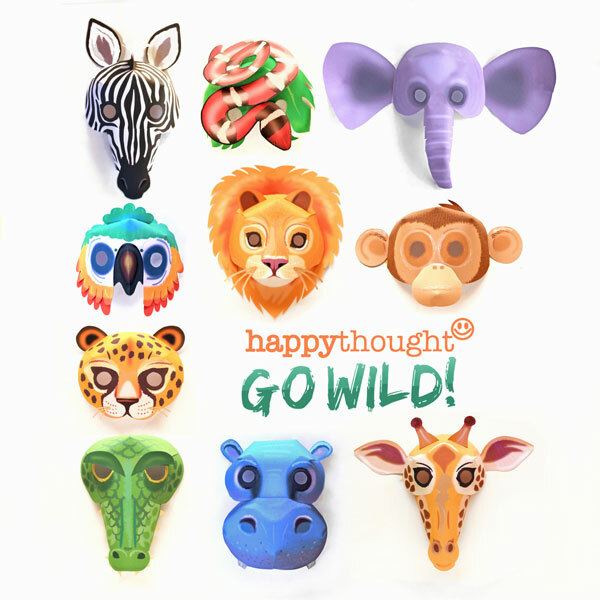 Make your own printable tiger mask, part of our Happy Animal Friends 3D printable mask set. 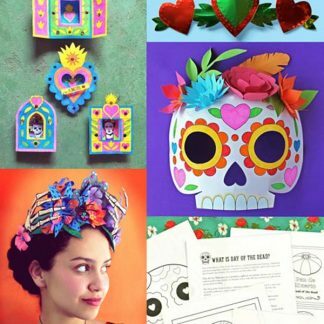 Print as many as you like – they’re very easy to make and our kids had so much fun with these masks – we’re sure yours will too! Be a Tiger in no time! 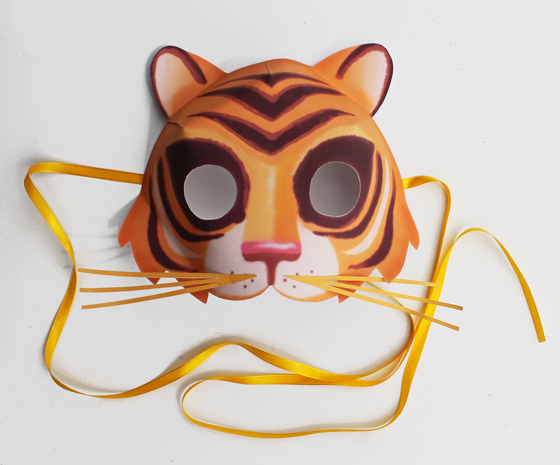 Mask template and video tutorial: Make your own 3D paper tiger mask! Carefully cut out the mask, ears, whiskers and eye holes. Now to add the whiskers. Roaaar! 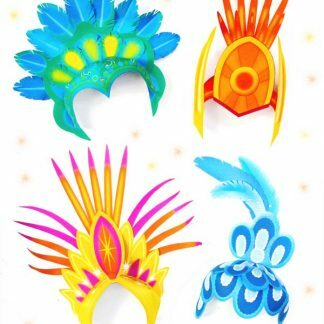 Your tiger mask is ready to wear! 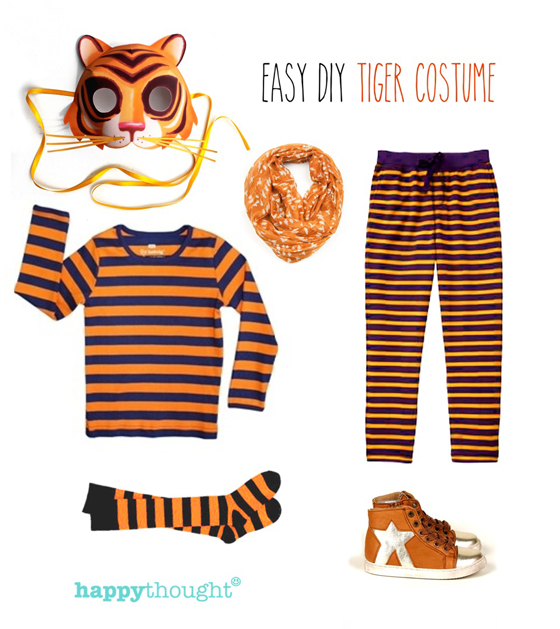 How about an easy ‘throw together’ tiger costume with paper tiger mask? 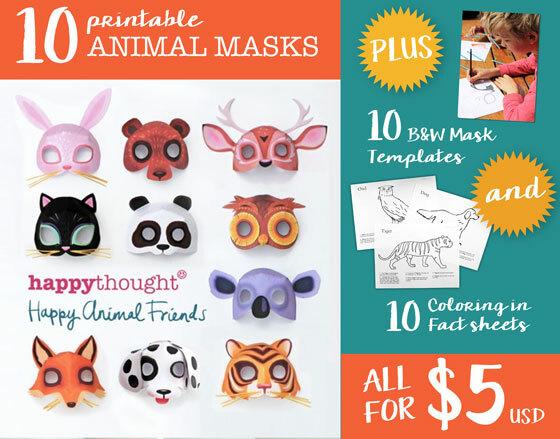 10 make your own animal masks, 10 animal mask color in pages and 10 animal fact color in sheets. 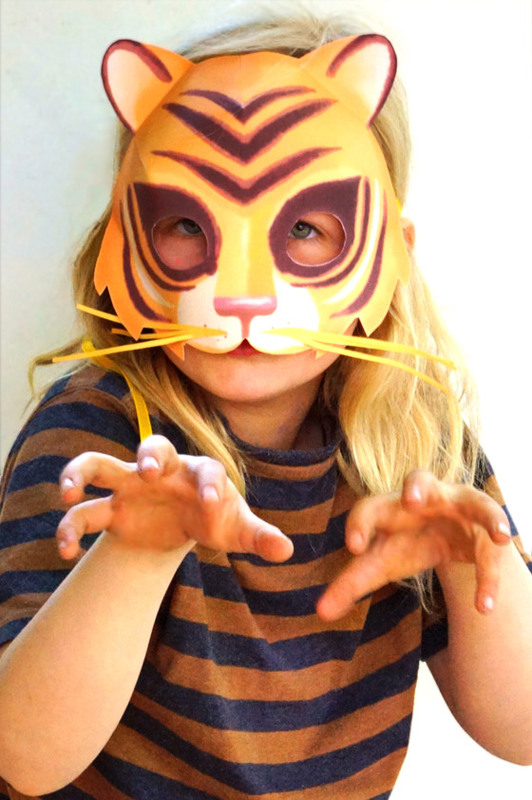 It is so easy to make a Tiger mask for a costume party outfit! 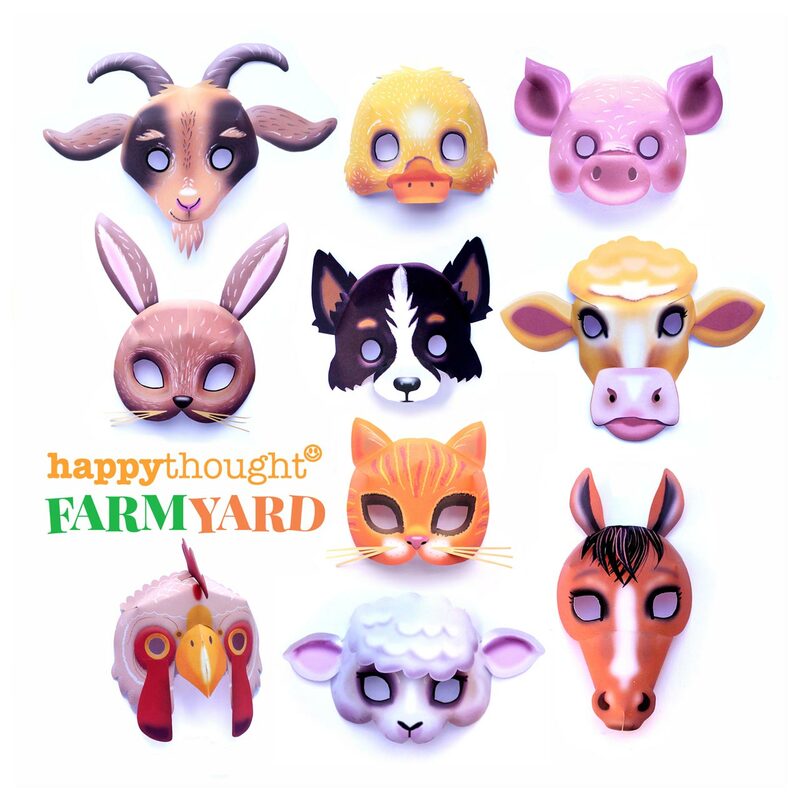 The tiger mask templates are part of our Happy Animal masks pack. 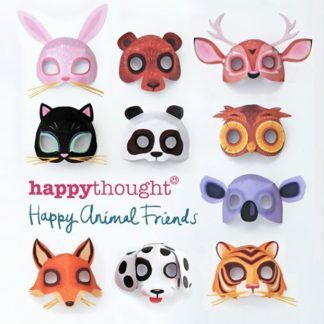 Happy Animal Friends mask templates: bear, bunny, cat, dog, fox, koala, owl, panda, deer and tiger masks to print out and make. 2. Subspecies of the tiger include the Sumatran Tiger, Siberian Tiger, Bengal Tiger, South China Tiger, Malayan Tiger and Indochinese Tiger. 3. A group of Tigers is known as an ‘ambush’ or ‘streak’. 4. Tiger cubs leave their mother when they are around 2 years of age. 5. Tigers are good swimmers. 6. Tigers are usually nocturnal hunters. Watch the tiger in the bushes – Roar!!! Portraits by our friend and talented Chilean Artist Rodrigo Antonio Mesa Ramirez. We hope you enjoyed this printable printable tiger mask, color-in sheets and tiger fact pages! 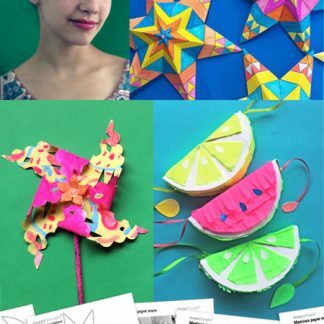 The printable paper tiger mask looks greeeeeat!!! Great idea! Looking forward to using the tiger mask template for our school play! 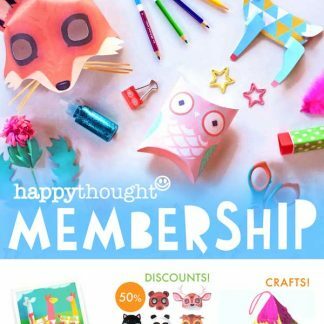 Happythought’s site is very useful as it has lot of creativity and fun craft ideas! I would love this for my kid! 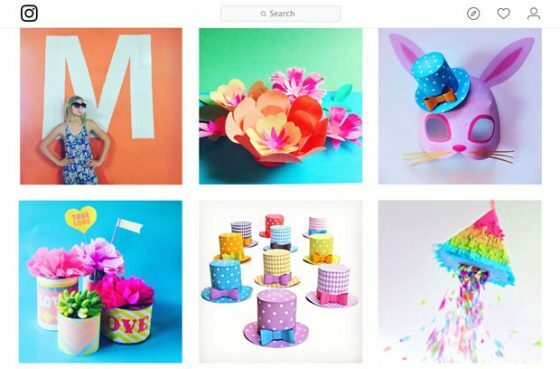 It’s perfect since we are both big on DIY stuff and artistic! I’d be Lion if I didn’t like this one! 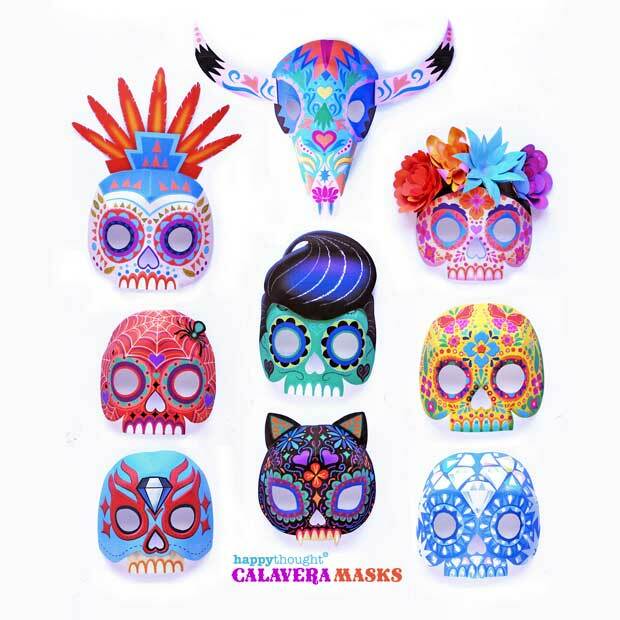 Please keep me up-dated on these wonderful creative masks. I work part time for the Kroc Center in my area teaching art. Anything will help me! Supplies are limited and I do the best I can on my budget to open more doors to the kids world. 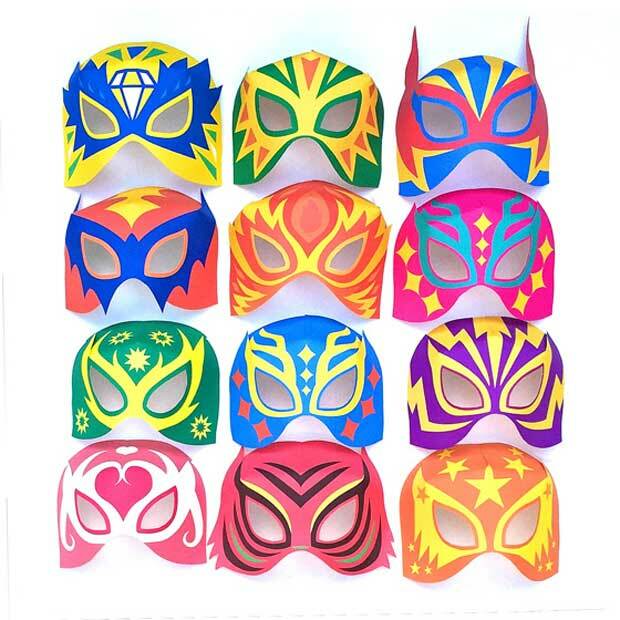 Don’t worry I’ll send you a link to download the tiger mask templates for the kinders at your school! Good luck!! Work at the school, mascot is a Tiger…excited to use this for the last day.